Is there an art to networking, are there networking techniques, how can I be an effective networker? Over 70% of new business is gained through word of mouth and therefore networking should be an integral part of the new business strategy of every PR agency that is serious about doing business. This course is suitable for anyone at any level who either is not confident and has not networked much, or is wary of networking, or knows they could do better at networking. 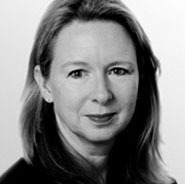 Claire founded Firefly Communications in 1988 building an agency that has won numerous PR industry awards, including Consultancy of the Year, and also a variety of national business awards. Under Claire's leadership, Firefly has always had a strong reputation for people development. Claire is profiled as one of Britain's Top 100 influential business women (Real Business, February 2009).